RagTag is a charity based on the Isle of Skye - Northwest Scotland. We are a social enterprise firm with a small and dedicated team of staff who are mostly part-time. We're here to promote mental and social well-being in a friendly and welcoming setting. We care about the environment by making up-cycled crafts from donated materials and selling through our charity shop. We reduce the volume of waste going into landfill. We encourage the personal and social growth and development of vulnerable people. We provide support and training in Broadford and Portree, in small, friendly workshops under the guidance of encouraging and experienced tutors. 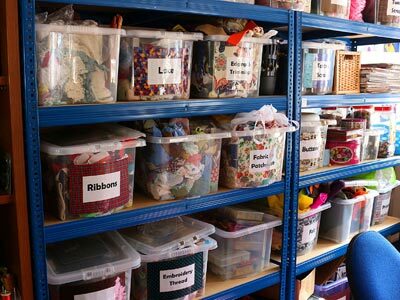 We up-cycle donated textiles and other materials in creative and individual ways. We offer open workshops for the well-being of the community and for developing expertise in a range of interesting activities. Click here to go to our 'Open Workshops' page, or keep an eye on our FaceBook page. We have a weekly drop-in coffee, cake and conversation day, "Crumz", which is open to all, for the enhancement of mental and social well-being. Students work in a small, friendly, workshop environment. A variety of activities enable students to learn new skills and gain new interests tailored to their individual needs. Students and tutors together enjoy coffee and lunch breaks with light-hearted relaxation, chat and friendship. Students may develop links in their community through helping in the charity shop, and participating in projects involving the wider community. 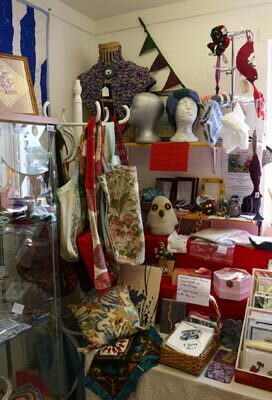 Work experience is offered in craft work and the charity shop.